BB: The first question I need to ask you is, as you seem even more empathetic to nature and suffering than I am, how you keep yourself from just curling up in a little ball and crying your heart out? TM: There are certainly times when I am tempted to curl up in a ball and cry; for instance, when I think about the wretched lives that cows, pigs and chickens endure at factory farms. However, there is something that helps me from feeling overwhelmed—and that is to act, to do something, to fight back in some way. In Zooburbia I explore the ways in which compassion can be the basis for our actions in the world. The word compassion has Latin roots that translate to action andpassion. Technically, compassion is much more than just feeling sad about some heartbreaking thing you’ve read or seen—it means feeling the passion to act, and actually doing something to make it better. For example, if you know of a dog who’s chained up in a yard, don’t just feel sorry for the dog: go talk to the dog’s owner, try to intervene, find out if there are anti-chaining laws in your community, politely educate the owner. I’m a big believer in taking matters into our own hands. Don’t wait for someone else to do something. Be that dog’s hero. There is always something we can do. You’ll find you start to feel a lot more powerful and a lot less like curling up and crying. And every time we speak up or take action on behalf of an animal, it helps to amplify and strengthen a larger vision of conscious concern for all animals. BB: This book brought tears to my eyes every time you spoke about shelter animals but not as often when you talked about the wildlife. I’m sure a lot of people share that disconnect with me, and I’ve been re-evaluating my own outlook on wildlife since reading Zooburbia. Was that your intention when interspersing those topics? How do you handle people who insist that wild animals are not as worthy of their empathy as pets? TM: In Zooburbia I wanted to tell stories about the lives of animals who are not beloved pets. The animals in Zooburbia are either wild or not wild but unowned and thus unloved, like shelter dogs and feral cats. Perhaps the reason many people feel less empathy for wildlife is because they are wild, we sort of expect their lives to be difficult. Whereas many of us have dogs and cats as family members, and the thought of their suffering is unbearable. In our society, we’re conditioned to think of responsibility as linked to ownership. We’re responsible for the things and the people and the animals who belong to us. But I think this is an obsolete view. I believe that the wild animals who live around us and among us are a part of our communities, they are our wild neighbors and are deserving of our empathy. While no one owns them, we are still coresponsible for their well-being and safety. So if your neighbor is putting out rat poison, try to explain to him—gently—that rat poison is going to harm not just rats, but dogs, cats, foxes, coyotes, raccoons, owls, hawks, and any animal who find the dead rat and eats it or carries it back to its nest. BB: I really appreciated your honesty about loathing spiders. Bugs and insects are very hard for me to let be, and I’m nearly phobic of butterflies and moths. How’s the process of spider acceptance going? Any tricks for learning to accept the ickier creatures with an open heart? TM: It’s an ongoing process. I still get the shivers from spiders, though I’d never kill one. I use a marvelous tool called a Snapy—a plastic wand with a clear plastic chamber at one end—to safely convey spiders from my house back outdoors. Why kill something when you don’t have to? Try this, next time you come across a spider or other icky bug in your house or garden: give her a name. Once she has a name, she becomes an individual. That seems to go a long way toward decreasing the ick factor and making us feel more sympathetic. E.B. 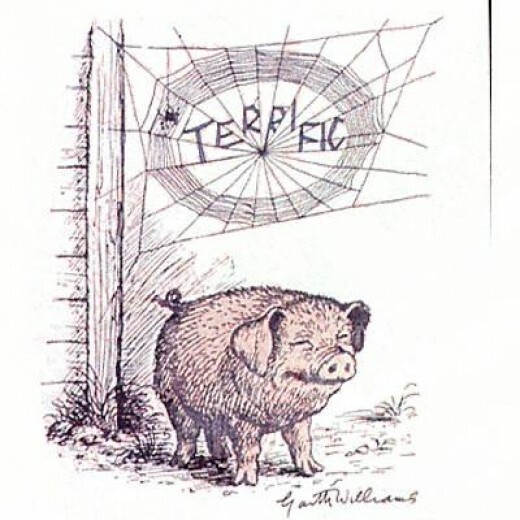 White was well aware of this when he put a spider at the center of Charlotte’s Web. It’s easy to think of generic “spiders” as icky, but who wants to kill Charlotte? BB: Speaking of acceptance: You incorporated quite a lot of Buddhist philosophy in Zooburbia. Are you a practicing Buddhist yourself? If so, did this come as a result of your love of nature or vice versa? Or are they too interwoven to tell? TM: I am not a practicing Buddhist, but I do believe in a Buddhist principle called ahimsa, which means to cause no injury to any living being. It’s also known as nonviolence. Compassion and nonviolence are values that are shared with many different religious and spiritual traditions. I don’t belong to any of them, but I try to follow the principles of nonviolence in my life. Am I always successful? No. But none of us are perfect; all we can do is try to be kind and do the best that we can in every situation. Q. My husband, who was raised in Africa, often points out the inherent American problem with nature, and I know you discussed that many European countries already incorporate wildlife underpasses on their freeways. Are there any other notable foreign advancements in regards to the harmony between people and nature that you would love to see instituted in the States? TM: In terms of animal protection, Costa Rica is one of the most progressive countries in the world: Sport hunting is banned, circuses are prohibited from using performing animals, and last year the Coast Rican government announced its plan to close public zoos, setting wild animals free in nature preserves or sending them to sanctuaries where they will be cared for. India is another country that is making great strides in animal welfare. The Indian government has put an end to animal testing and has proposed a ban on the import of cosmetics that are tested on animals. India has also enacted a ban on keeping dolphins in captivity and is phasing out the use of battery cages for confining egg-laying chickens. 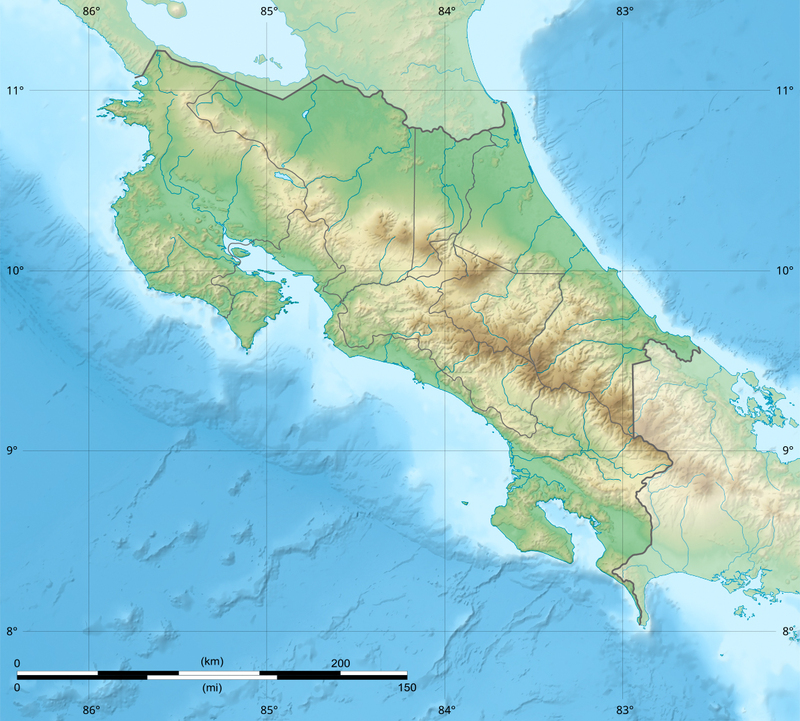 And in 2008, Ecuador adopted a Constitution that grants inalienable rights to nature, becoming the first country to recognize that nature has rights. These are all groundbreaking policies, and hopefully they will percolate over to the U.S. Legislation—passing new laws or strengthening existing laws—is one of the most effective ways to protect animals. South Dakota recently became the 50th state to make cruelty to animals a felony. We still have a long way to go, but that’s a milestone worth celebrating. BB: I really need to know if Papagayo ever knew freedom. Or is he still caged and you’re short a friend? TM: Sadly, as far as I know, Papagayo is still living a solitary life in his cage in the dining room. 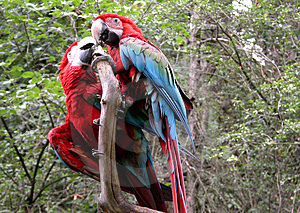 But Papagayo is only one of many thousands of parrots and other caged birds who live similarly deprived lives. Parrots are highly intelligent and social birds, and they suffer when they are robbed of the chance to participate in flock life. Their human guardian has to take the place of their flock and that means giving them abundant amounts of love, attention and stimulation. If you’re not up to that challenge—and it can be very time-consuming to properly care for a parrot—you shouldn’t have one. That’s why I used the epigraph from Xenophon on that chapter: “Anything forced or misunderstood can never be beautiful.” The nature of bird is to fly and to flock. To cage a bird is to fundamentally misunderstand the nature of bird. BB: Finally, you love, own, and care for species rather indiscriminately, but what’s your favorite animal? Are you more of a dog person or a cat person? TM: I love both species and get so much joy from each of them. We love categories, and certainly it can be fun to argue the merits of cats vs. dogs. The truth is, I like some dogs better than some cats and some cats better than some dogs. That way all my bases are covered—in case cats and dogs ever acquire the ability to read English. 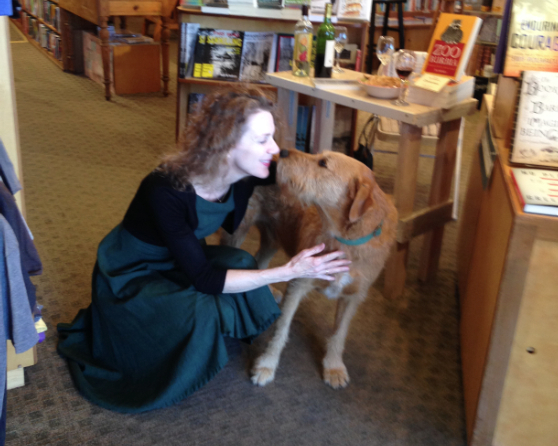 An Interview with Laurie R. King! Our bookseller Brandi Bailey (BB) recently interviewed Laurie R. King (LK), author of the Mary Russell mysteries, for our blog. BB: First, thank you so very much for agreeing to my interviewing you! It’s the 20th anniversary of The Beekeeper’s Apprentice, the novel that introduced the world to the delightful and whip-smart Mary Russell. Congratulations! I’d like to know how this makes you feel. LK: Twenty years is forever—and yet, but the snap of a finger. Twenty years ago I had two books published (together, they brought in enough to install central heating in the house!) and a tentative idea that I might be able to talk my publisher into a few more. So to not only have survived as a writer for two decades, but to have a thriving community of readers eager for more, is a thrill. BB: After 20 years and 12 novels, are you at all tired of her? BB: As a Russell fan, I know from the painful interim between installments that you often break up your writing from series to series and with stand-alone novels interspersed. Do you find this helps you from tiring of certain characters? Or does it cause any confusion with your story lines? LK: As a reader, this is always a problem, isn’t it? You want to love all a writer’s children equally, but you can’t help having favorites. But the truth of it is, as a writer there are some stories you just can’t tell inside certain fictional worlds, some kinds of energies that can’t be contained within an established series. …some kinds of energies that can’t be contained within an established series. As a writer, as a person, I need to push myself—I have to stretch the bounds of comfort. If I wrote nothing but Russells, the characters (those that survived!) would go stale, and people would stop buying the books. The trick is, to convince people that The Other Books are good too. Because the publishing world doesn’t really like it if every other book languishes on the shelves when readers pass it by because it’s Not A Russell. If I wrote nothing but Russells, the characters (those that survived!) would go stale, and people would stop buying the books. I do love the other new series, Harris Stuyvesant and Bennett Grey. Writing them lets me use muscles I can’t use in the Russells. I suppose it’s just a matter of building an audience for them, too. BB: Speaking of your multiple series, do you have a favorite? BB: Along those same lines, do you enjoy writing the modern Kate Martinelli’s or your historical fiction more? LK: I do seem drawn to the past, don’t I? Even many of the contemporary novels have sections set elsewhen. Which may be the reason that the Martinelli idea I’m playing with rests on events from a previous era. Do you get to indulge in travel “research”? BB: When it comes to your historical novels, they are often set in far-flung and exotic locales. Do you get to indulge in travel “research”? What other research goes into them? LK: Absolutely, I always go where I’m writing—the next Russell, for example, is set in Japan, and I couldn’t write it until I’d been there. Of course, I do a lot of book-research too, since it’s rare you can go to a place and see anything but the faintest trace of the Twenties. But for stories set in other places, I need to breathe the air and listen to the sounds. I do a lot of book-research too, since it’s rare you can go to a place and see anything but the faintest trace of the Twenties. BB: I’m curious, does it affect your approach having the Mary Russell series presented as her memoirs? Does this change from your approach when you’re writing plainly fictitious characters like in The Bones of Paris? LK: Oh yes, particularly as the series gets longer and there’s more detail to keep track of. In fact, we’ve (“we” being Team LRK) just published The Mary Russell Companion, an ebook, which is quite solemn about treating the books as Russell’s Memoirs rather than King’s novels. As to why King has her name on them, well, you’ll have to read the Companion to find out. I’m free to murder off whomever I wish. BB: Mary Russell works side by side with the famous Sherlock Holmes, who is rather big right now, and you clearly know and love the Conan Doyle canon. Harris Stuyvesant in Touchstone & The Bones of Paris is plaininly reminiscent of some of Dashiell Hammett’s line of brusque, American detectives. As a clear mystery lover yourself, who is your favorite classic detective writer? 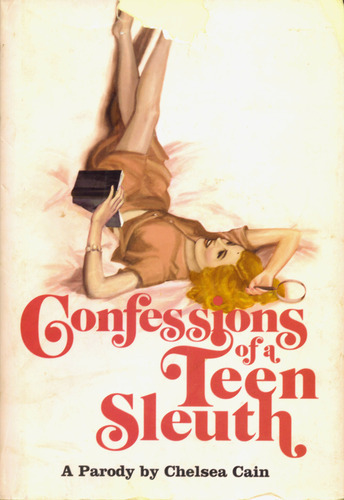 Do you read and love any modern mystery authors? LK: Oh sure, I read widely, from cozy to thriller. SJ Rozan and Lyndsay Faye do detectives Hammett would feel right at home with—as, indeed, he would with Harris Stuyvesant. BB: Can you give us a clue as to what’s next for Russell and Holmes? LK: In addition to The Mary Russell Companion (out now as an ebook), which is bursting with Things To Know about Mary Russell (some of which might be categorized as fiction…) and the new, 20th anniversary edition of The Beekeeper’s Apprentice, next February comes Dreaming Spies, which is set partly in Japan and partly in Oxford. And as for Holmes without Russell, In the Company of Sherlock Holmes (with Les Klinger) is a fabulous collection of stories “inspired by Holmes” in December. I hope people enjoy all of them. 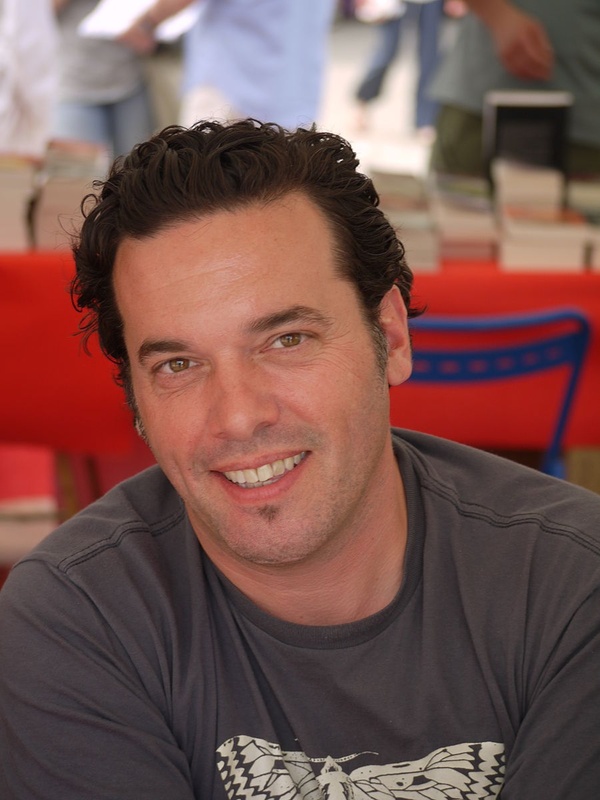 On Monday, May 19th, at 7pm, the Elliott Bay Book Co. is pleased to host novelist Joseph Boyden, author of the Governor General Award-nominated The Orenda, downstairs in our Reading Room. Our bookseller Justus Joseph caught up with Mr. Boyden to find out a bit more about his latest novel. Justus Joseph (JJ): You’ve lived in New Orleans for quite a while now, and I’m curious as to how the community around you, as well as the diverse geographies, have contributed to your work. How do you think New Orleans influences you as a writer? Joseph Boyden (JB): I’ve mentioned this before but it’s this Banana Republic that doesn’t feel like the States. It gives me the distance I need to write about these other places, including Canada, but I don’t want to be pigeonholed as a Canadian writer. Canada didn’t exist when the story of The Orenda takes place. It’s the story of the cultures and civilizations that existed before. JJ: What do you like to read? JB: I don’t read as often as I would like. Right now I read a lot of student manuscripts and stories. I go through periods of reading where I will focus on a theme or writer, like Hemingway, and I’ll read everything I can. Ondaatje. JJ: Why do you write? What drives you to write? JB: I don’t feel fully myself if I don’t write; I’m miserable. I’m driven by obsession, by these ideas and characters in my mind. I guess writing is a miserable job, though. It’s not easy and it’s not immediately rewarding, but I need to write. There’s something in me that needs to write – maybe it’s a calling. I’m less miserable when I write. JJ: Do you write for an ideal reader or a particular audience? JB: I cant’ imagine a particular reader. In my first drafts I never think about who would want to read the story. I think if I went into my writing wondering what kind of reader it’s for, it would be shackling. I don’t think about audience until I’ve had a chance to look at my work as an objective reader. I guess my family is always in the back of my head. I want to please my family, please my mom. JJ: I see your writing evolving in each of your new works. You’re more confident and your stories are even stronger than the previous one. How do you see yourself evolving as a writer? JB: I feel like a young writer, like a total beginner despite my age. I’m still new. Every novel I start feel like I don’t know what I’m doing. Like I’m completely new and have no idea how to write. Everything ends up in the wrong order with the wrong structure. Even after I go back and edit I catch so much. The Orenda is the first book I’ve written where the way you see it is the way it came. It took me three years to write the first 50 pages, then 13 months to finish the rest. That’s the first time the structure came out right. But the words… My editor Gary Fisketjon is an intensive line-by-line editor. He’s incredible. He has this ability to find the smallest inconsistencies. He knows my voice and when it’s my voice or my words and not the character’s. It’s intense. He’s really amazing at what he does. JJ: You write stories that stay with readers long after they’ve finished the book. 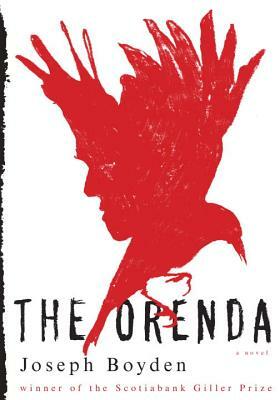 The Orenda is no exception, and for me it’s even more haunting than your previous novels. What do you hope people will do or feel after reading The Orenda? JB: I hope they realize a bit of history that doesn’t really get a lot of attention. I hope they learn the First Nations people had incredibly complex civilizations and societies long before the Europeans came, that the Europeans did not enlighten or save these people from savagery. I hope they ask questions. I hope they learn this history. JJ: In each of your books, First Nations and Native language plays a significant part — what is your connection to languages and why is it important in your writing? JB: Ohhhh. I have an issue [laughter]. I studied for ten years and still can’t speak French. It was in high school, but still, I studied for ten years. I may live vicariously through my characters and their languages now. You need language to understand a culture, though. Culture is interpreted through language. Christophe realizes this in The Orenda. At first he is dismissive of the languages but then he realizes he needs them if he wants to understand the people. Language is the lens we need to understand culture. Without it, there can be no true understanding. JJ: Which character speaks the loudest, to you? Do any of them clamor to be heard over the others? JB: Well, Bird has this quiet stoicism. He wants his story to be told, so I didn’t have to push with him. Christophe has this preacher’s drive. This sense of the world and his place in it, so I didn’t have to push with him, either. But Snow Falls… I enjoyed writing Snow Falls the most. She was unpredictable. She would do these things…and I would think, “You’re so bad!” And then she’d do them again and leave me in shock. JJ: What do you wish people would ask you about The Orenda, or what would you like them to know? JB: The Orenda is inspired by real life, by true history. It’s the birth story of our continent, and so I hope people go from the story maybe a little more enlightened, curious. I’ve tried to tell a good story – I always try to tell a good story. If you tell a good story, everything else should follow suit. There’s a weight below the surface in this book. I hope people feel it long after they’ve finished reading it. I hope they feel that weight. Published this past autumn to high praise in Canada, where it was shortlisted for the prestigious Governor General’s Award, Joseph Boyden’s extraordinary, historically-set third novel, The Orenda (Knopf), is finally being published here in the U.S. There are those among us who couldn’t wait, went north, read and loved this book –- and now get to put it in readers’ hands here. Those who knew and loved Through the Black Spruce or Three Day Road will be delighted, as will those new to Joseph Boyden’s work. Join us at 7pm on Monday, May 19th in our Reading Room. On Wednesday, February 19, at 7pm, the Elliott Bay Book Co. is pleased to host novelist Anthony Marra, author of the 2013 National Book Award-longlisted A Constellation of Vital Phenomena, downstairs in our Readings Room. Our former bookseller Dave Wheeler caught up with Mr. Marra to find out a bit more about his stunning debut novel. DW: When did you decide you would write a novel about turn-of-the-recent-century Chechnya? AM: I began working on what would become Constellation in 2009. Initially as a short story, but the characters and their world soon stretched beyond the confines of a 25-page story. Chechnya, and Russia in general, had fascinated me ever since I was a college student studying in St. Petersburg, but it took a few years before that fascination manifested itself in fiction. DW: What elements of Chechnya — it’s history, it’s people, it’s culture — inspired you to devote your first novel to it? Since you started, what aspects have you learned or stood out to you? AM: More than anything, the novel was inspired by the stories of ordinary civilians who found ways to retain their humanity in the recent conflict, despite the geopolitical forces that might otherwise strip them of it. Chechnya hasn’t received much focused and sustained attention in the Western media, and the attention it has received has generally dwelt on rebel commanders and Russian generals. But between these two political extremes is a broad midsection of ordinary civilians whose stories are deeply moving. Also, Chechnya has a remarkable cultural and historical legacy. Lermontov, Pushkin, and Tolstoy all traveled through and wrote about the region. In fact, Tolstoy was living in Chechnya when he began writing what would become his first novel. Five decades later, he returned to Chechnya in fiction with Hadji Murat, his last novel. DW: Though warfare lurks all over the backdrop in your novel, A Constellation of Vital Phenomena is much more about relationships. How do you think the urgency of war influences the way your characters (or people in general) build their relationships? AM: When I began Constellation, I knew that it would be a novel set against the backdrop of war, rather than a war novel. 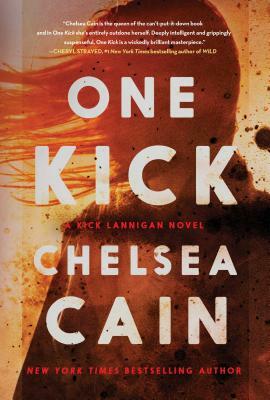 A novel about surgeons, rather than soldiers. I found myself spending a lot of time thinking about how the breakdown of social order allows the emergence of relationships that would have been impossible before. Many of the characters in Constellation are searching for lost loved ones, and they end up finding each other. DW: One of our protagonists is Sonja, an ethnic Russian doctor in the Chechen village, who runs a hospital, with residents that are surprisingly quirky, funny, even hilarious. Why was humor so important for you to include in the novel? And how did you so magnificently balance the comedy with the tragedies? AM: We experience life across a wide tonal range, and even in harrowing moments, I don’t think we lose the capacity for humor. The bleaker the circumstances, the more necessary comedy becomes–if only as a means of self-preservation. Novels completely devoid of humor often strike me as false because the experience of being alive is filled with the kind of sad absurdities that are made more bearable through jokes. Plus, nothing quite disarms and opens up a reader to a character like comedy. You’re more willing to cry with characters after you’ve laughed with them. DW: Another character, Khassan Geshilov, has labored over writing a detailed history titled Origins of Chechen Civilization for years. At any point did you ever feel his toils mimicked your own as you wrote? AM: Pretty much the whole time! My writing process consists nearly entirely of rewriting. Or retyping. When I finished the first draft of Constellation, I printed it out, set it in front of my keyboard, and began retyping the entire book from the first word on, and did that with each subsequent draft. The British painter David Hockney returns to the same landscape again and again, at different times, different seasons, and in different mediums, explaining that each time he sees the landscape more clearly because he sees both through his eyes and his memory. Retyping is my way to return to the same fictive landscapes in a similar manner, seeing each scene and character with greater clarity. DW: Which authors inspire you and your work, and what are some of your favorite books? AM: Edward P. Jones, Ann Patchett, Adam Johnson, Marilynne Robinson, Jose Saramago, Denis Johnson, Tolstoy, Zadie Smith, Javier Marias, Mario Vargas Llosa, and David Mitchell are all writers I routinely return to. My favorite books are always changing, but as of 3:30 PM January 4, my top three are Too Loud a Solitude by Bohumil Hrabal, Waiting for the Barbarians by J.M. Coetzee, and David Copperfield by Dickens. DW: Your novel is rich with history and ephemera, and we learn that one of Sonja’s medical texts — The Medical Dictionary of the Union of Soviet Physicians — defines “Life” as “A constellation of vital phenomena,” as poetic an assessment as they come, but that same text and others bog her down with “arcane and useless information,” too. Was researching the novel a similar experience? 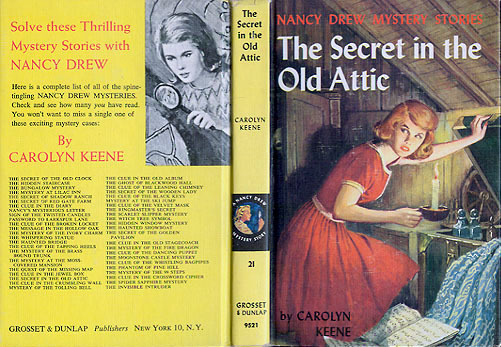 AM: Research is one of the pleasures of writing fiction for me. As both a reader and a novelist, I’m looking for that spark of discovery, that moment when I stumble into a world I didn’t know had been there, and that moment often comes at the intersection of research and imagination. Most novels, whether they are set in present-day New York City, or 1945 Berlin, can rely on readers bringing a baseline of cultural and historical awareness, but with Constellation, I couldn’t assume that readers had any familiarity with Chechnya. This required me to not only to create characters and their stories, but also to build the contextual scaffolding to hold them. At times it felt like a challenge—what to include, what to omit, etc. There’s a tendency to want to include every fact and figure, if only to prove that you’ve done the research. But in the end, I decided to only include research that was directly relevant to the lives and stories of the novel’s characters. Usually that came in the form of a small, ground-level detail, rather than sweeping analysis. DW: Since the publication of A Constellation of Vital Phenomena, what have been some readers’ thoughts and feedback regarding Chechnya and its people? AM: I think we all feel a little guilty about not being better informed about world events. The average American is unlikely to know much about Chechnya, and many readers have picked up Constellation in part because it’s set in a largely overlooked corner of the world. The most common response to the book has been a reflection on that. It’s also been incredibly gratifying to see readers respond to Constellation through their own artistic mediums. Just this morning, a reader sent me a series of poems inspired by the novel. DW: What are you reading now? What new books have really stood out to you as exceptionally written? AM: The two books I most recently read are the wonderful Ruby by Cynthia Bond and To Rise Again at a Decent Hour by Joshua Ferris, which are coming out this spring. Some of my favorite novels of 2013 are Submergence by J.M. Ledgard, A Marker to Measure Drift by Alexander Maksik, The Goldfinch by Donna Tartt, and The Infatuations by Javier Marias and The Woman Who Lost Her Soul by Bob Shacochis (both of which I bought at Elliott Bay!). Nonfiction-wise, I’m a total sucker for lost-in-the-wilderness stories, and I’m currently reading Alone on the Ice by David Roberts, an account of Douglas Mawson’s incredible survival in Antarctica. For fiction, I’ll probably start reading In the Night of Time by Antonio Munoz Molina or The Flamethrowers by Rachel Kushner today. 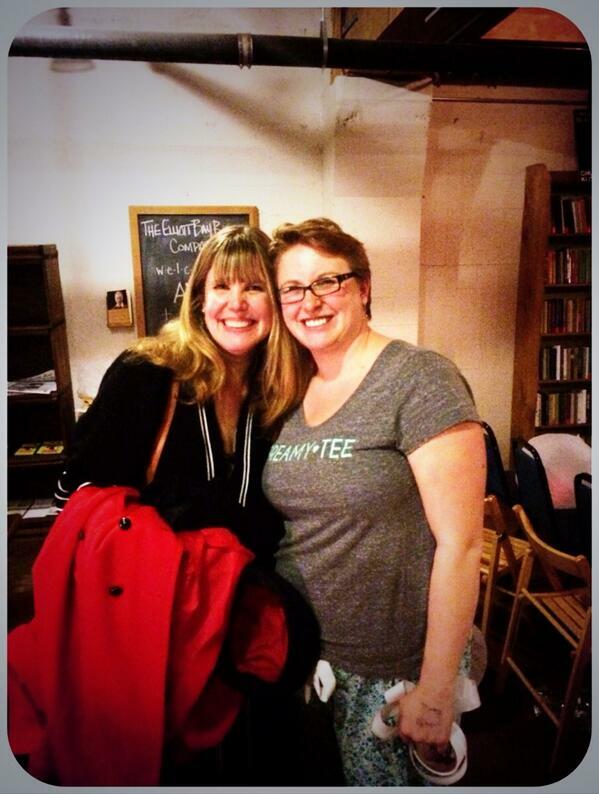 DW: I certainly was thrilled to see your book longlisted for the 2013 National Book Award. That’s quite an accomplishment for a debut novelist! What did you do to celebrate? AM: I was stunned, humbled, and deeply grateful to the judges for the honor. I think I walked around the block in a daze for a little while, then called my parents. 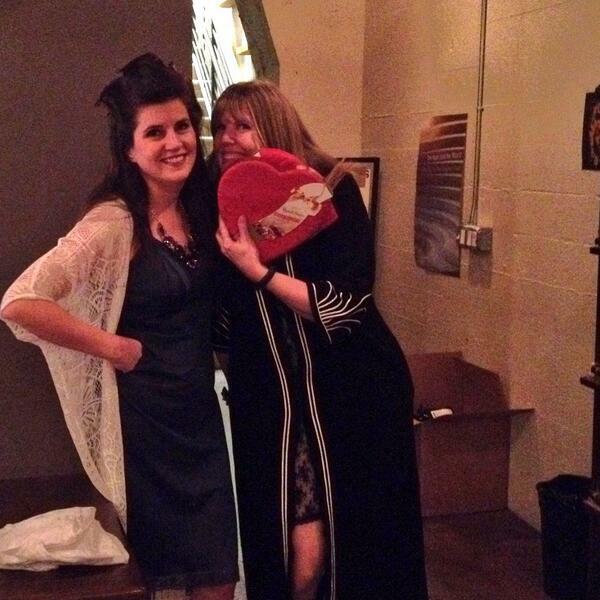 That night I went to a fancy Burmese restaurant with a friend. DW: Finally — and I’m sure you hate this question, but humor me because I simply can’t wait to get my hands on whatever it is — what are you working on now? AM: I’ve been working on a project set in the Siberian Arctic and Chechnya that revolves around a 19th-century painting, a mix tape, a Soviet censor, the Miss Siberia Beauty Pageant, and a space capsule. ANTHONY MARRA is the New York Times bestselling author of a National Book Awards Longlist selection, A Constellation of Vital Phenomena. He is the winner of a Whiting Award, a Pushcart Prize, The Atlantic‘s Student Writing Contest, and the Narrative Prize and his work was anthologized in Best American Nonrequired Reading 2012. Marra holds an MFA from the Iowa Writers’ Workshop and was a Stegner Fellow at Stanford University. 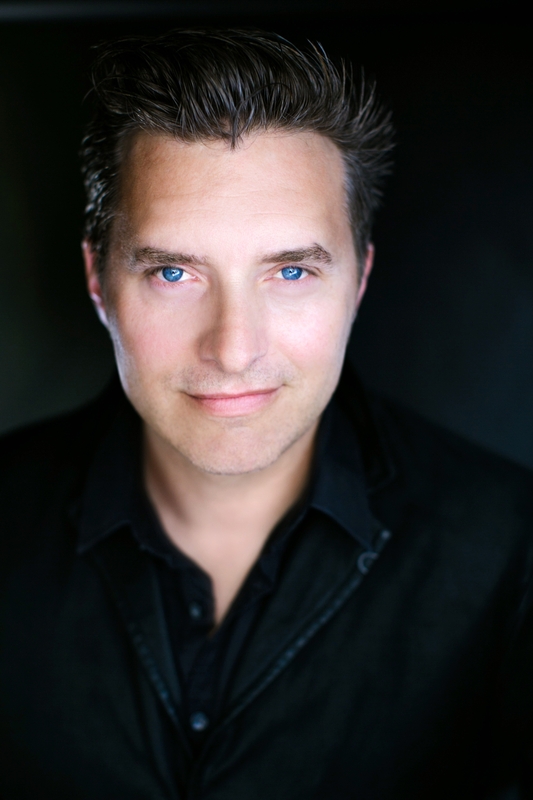 He has lived and studied in Eastern Europe, and now resides in Oakland, CA.